Cast iron plate are used for all kinds of inspection work, such as precision measuring datum plane, all kinds of machine mechanical inspection measurement, check the size of the parts precision, and do a deviation, and make precision marking. In the mechanical manufacturing cast iron plate is also an indispensable basic tools. Botou constant communication machine casting measuring tool . Is located in the south of the tianjin botou city, is the production tools, measuring tool specialized company. My company mainly produces all kinds of adjustment, crossed flat, shock machine pad iron, jack, can also be customized according to customer demand of machine tools of various types pad iron. Measuring tool series have flat feet, square box, and the true square, curved plate, V type rack (iron), partial pendulum tester and “00” class rock (marble) plate, measuring tool measuring tool, etc. Cast iron plate design technical requirements according to the general law of the People’s Republic of mechanical industry standards JB/T 7974-2000 design, according to the national GB4986-85 standard manufacturing plate accuracy grade have 00, 0, 1, 2, 3, level and fine plane, plate made of steel plate and box type, face a rectangle, square or circular. The working face scraping process, working face can be processed V, T, u-shaped slot and round hole, the long hole, etc. Cast iron plate work refers to the flatness tolerance plate actual working face and distance to the smallest two parallel plane distance between, the value that can press diagonal line method, the loop method of the test results obtained “base transformation”. Plate work surface flatness is a measure of the quality of the main plate precision index. According to the flat face flatness tolerance allowable value identify plate accurate level, so we must attach importance to flat face plane degree test. Flat flatness verification accuracy is flat use quality assurance. Material: is made by the high strength cast iron HT200 – HT300 manufacturing, face hardness: HB170-240. Reorganization of service procedures and additions to hyx‘s complement of CNC engineers means that service by the company’s dedicated engineers is now easier to arrange. Engineers are based at hyx’s Burgess Hill and Leicester offices in the United Kingdom, and the company claims to have some of the most competitive service rates in the industry. Using a central diary system, engineers can be quickly allocated to each assignment so that downtime is kept to a minimum. All use the latest Heidenhain test and diagnostic equipment. HYX Mould has a very strong managing and QC team, the team included totally more than 40 people. From the plastic parts 3D model to the Mould T1, we have very rigorous analysis, studying and quality controlling. When we got the plastic 3D model from our customer, we will have a meeting with all the related officers to discuss about the 3D design shortcoming… to find if there is any place has the tooling problem. 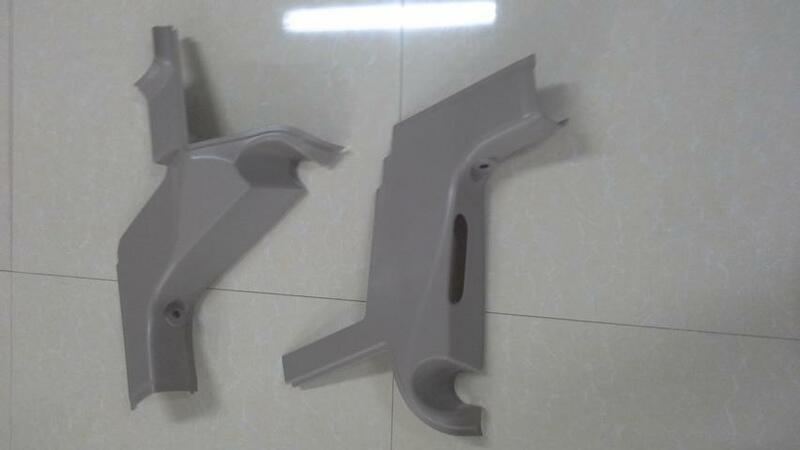 For example: de-Moulding angle, strength, plastic filling, deforming, thickness, texture…..after all these discussing, we will start to make a Mould-flow analyzing. If there is any questions or problems, we will contact to our customer. automotive Mould design technical meeting. When we got the design approval from our customer, we will start the steel cutting, for the steel inspection, we use a good quality scan device to check if there is any crack or impurities. And the hardness measurer will tell us if the hardness is o.k. or even. After machining CMM & other dimension controlling. After the machining processed, we have 2 sets of CMM, 1 projection measuring instruments for cavities / cores and other components dimension checking. If the dimension meets the tolerance, then we will take it to our assembling shop. Otherwise, we will do re-machining immediately. We have QC officers and project manager will control the quality points when the Mould assembling. Before the Mould T1, the Mould will be disassembled for QC, and GC Mould Co. has the T1 standard. If the Mould does not meet the standard. We can not make any Mould testing. GC Mould has more than 15 sets of different size of machine which are specially for Mould testing. Our operation team with rich experiences, this team’s task is to find the Moulds shortcoming and what should be improved. We make mass simulation after T1 improvements. GC Mould is determining to be one of the best automotive Mould suppliers in the world. Please kindly come to us for further checking, we are sure you will be satisfied. AQL Acceptable Quality Level. A quality level established on a prearranged system of inspection using samples selected at random. As-cast condition Casting without subsequent heat treatment. Backing sand The bulk of the sand in the flask. The sand compacted on top of the facing sand that covers the pattern. An important group of alloyed irons that fall outside of the ordinary types of Alloy Die castings have been designated the white and high alloy irons, or the special irons. The high alloy irons are considered separately because their alloy content exceeds 3% and they cannot be produced by ladle additions to irons of otherwise standard compositions. Traditionally, cast copper alloys were classified by a variety of systems including the ASTM letter-number designation based on nominal composition, by trade names, and by descriptive terms such as “ounce metal,” “Navy M” and so forth. However, with technological developments, new alloys were produced and existing alloys modified, making the old designation systems inadequate and misleading.